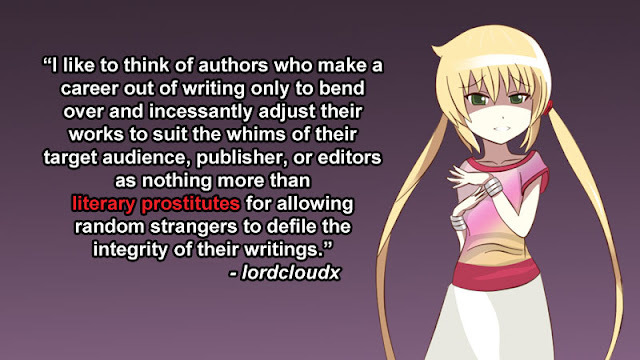 Back when I was active in the English Visual Novel Development circles, one of the hottest topics for discussion that never sat well with me was the use of "narrative hooks." Basically, it is your job as a writer to figuratively "hook" the audience's attention from the very start so that they will continue to read your story. Additionally, proponents of the narrative hook from the EVN Circles, would often claim that it is your fault as a writer if your reader loses interest in your work and doesn't give it a chance to get to the plot twist or climax. At that time (and at this time still), I thought that it was a very consumerist approach towards literature and storytelling. They were basically saying that you have to give the readers what they want or you are a failure as a writer. This was really counter-intuitive for me because I had personally grown up around and come to love a lot of stories that never relied on hooks. There were times when I'd read a story that seemed rather lackluster at the beginning, but only to be surprised by a plot twist near the end of the story that totally changed my perception. I didn't need a narrative hook to keep me going... and I know that a lot of other readers out there still feel the same. With that said, I will not argue that if you plan to sell your works to a mainstream market and survive in said market; then flexibility, adaptability and willingness to flow with emerging trends is a must in modern times. Fortunately I am no longer a part of any literary community or movement, which grants me nearly unlimited literary freedom in what I write. It also allows me to preserve the soul and identity of my writings without feeling like a literary prostitute who figuratively bends over and incessantly adjusts his style to suit the whims of his target audience. Which brings me to the point of this entire article: instant gratification. In the modern world run by hyperactive adult children with short attention spans catering to other hyperactive adult children with short attention spans and fueled primarily by instant gratification, the narrative hook has really found its home. I'm not sure who or what movements are to blame for this atrocity, but in modern times, it is often the creator, the person who put in the actual effort in order to make something, who is found to be "accountable" for the target audience who "support" his/her work. If your creation falls short of the personal standards of your audience, then it is your job to kowtow to these standards. For example, take this scenario: Imagine if you were feeling bored and decided to download a free game on your phone. The game you decided to install was more or less well put together, but somehow, it didn't amuse you as much as you would have liked it to. Naturally, this is a travesty that must be corrected. You were bored and this totally free game that you spent five minutes of your life on has failed to deliver in its promise to entertain you! So what do you do? Of course, you'd type a scathing review of the game on its download page like so. "LOL! Worst game ever. I was bored to tears. Stay far away unless you want a substitute for sleeping pills. Playing with your phone's calculator is far more entertaining than this pile of garbage." 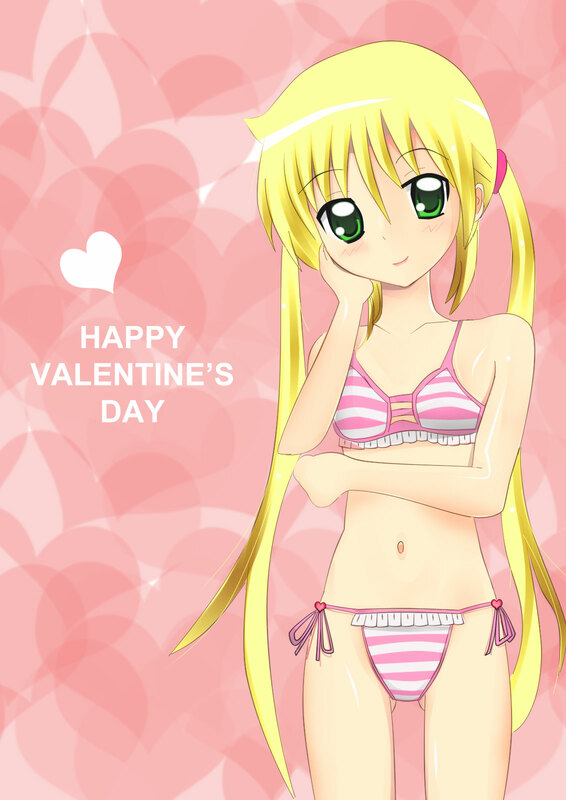 Now let's set that aside for a moment and talk about the females of Hayate no Gotoku! 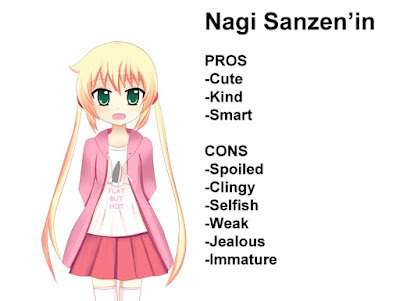 What sets Nagi apart from other more "deserving females" like Hinagiku and Athena? Well, it is pretty obvious if you look at them based on how they were introduced in the series. Just listing stats out from the top of my head so let's take a look. 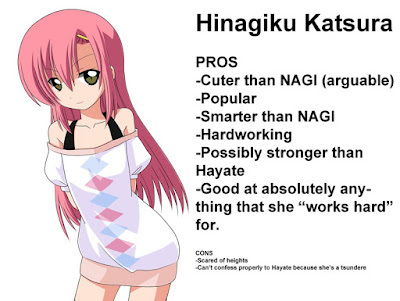 As you can see, not only do Nagi's cons outweigh her pros from the start, but her main rivals for Hayate's affection are obviously more ideal from the very beginning because they either have very little cons (Hinagiku) or none at all (Athena). Of course, throughout the course of the manga, it becomes obvious that both Hinagiku and Athena are more than their basic stats would have you believe, but I'm trying to look at them at a glance here -- which is what many of Nagi's haters have admitted to doing. You can't exactly complain about how a story ended when you claim to have dropped it 400 chapters ago. 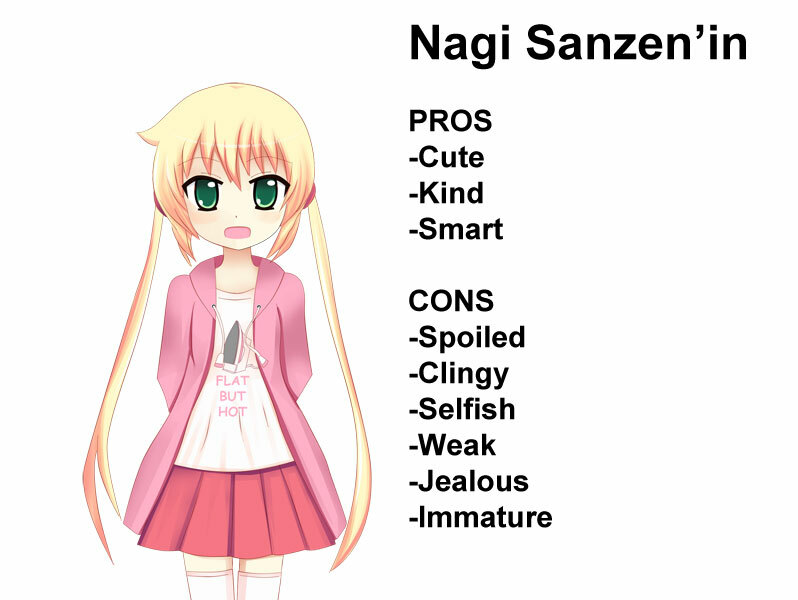 In any case, one thing becomes obvious here: Nagi will never win in an instant gratification contest. 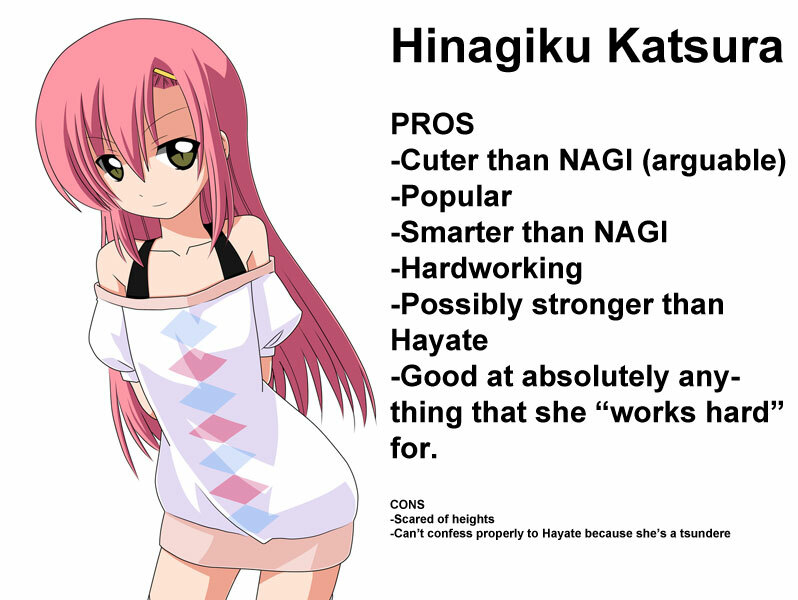 She is a heroine with no truly remarkable redeeming qualities at the start (especially in comparison to other "more deserving females") who needs to be given time to develop and come into her own -- which she does quite remarkably as the story progresses and she becomes more and more of an ideal girl for Hayate. All of her character development then culminates in a picture-perfect ending wherein the boy finally notices the girl who has been pining away for him all this time. 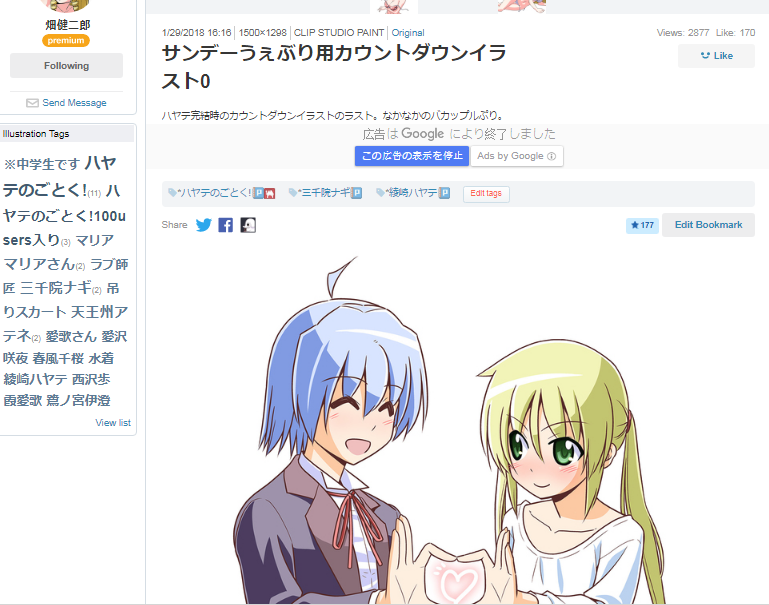 In conclusion, I believe that the reason that Nagi is oft-considered the worst choice among Hayate's pseudo harem is because she was written for a type of reader from a different generation (It has been 13 years since the series first debuted). She is a bit like the proverbial diamond in the rough -- seemingly crude and unappealing at a glance, but infinitely beautiful after being cut and polished to perfection. It was my birthday yesterday, so here is a special video presentation. 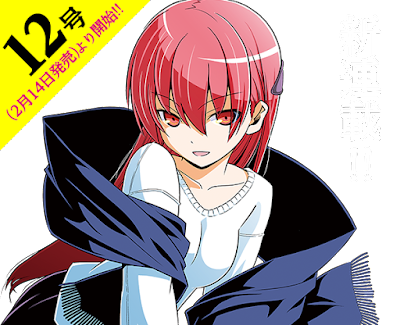 In other news, Hata-sensei's new series, Tonikaku Kawaii starts today. I don't think I'll be following it, but you can give it a shot if you like. If you can't read Japanese, I'm sure some scanlators will pick it up soon. Naturally, I have some Valentine's Day fanart for today. Here ya go~ and see you next week for sure. First, a little heads up that Hata's new manga is starting and it's called Tonikaku Kawaii (cute anyway). LOL -- that title is so Hata. With that said, I haven't even touched Ad Astra per Aspera, so I dunno how I feel about that. MC kinda looks like a sharper faced Hina, so some of you might like that. If there was ever a dark horse in the series whom I feared might eventually win Hayate's heart, it would have to be Izumi Segawa. After all, Hata has always made sure to remind the audience that Izumi is a bit different from the other two of the student council trio, Miki and Risa. While the two have rather indistinct archetypes and very little in terms of character development, Izumi has always been around and has had her moments with Hayate -- even if it was just to bide time until the next big event in the development of the main story triggers. In fact, Izumi has even had her own mini Segawa arc that had Hayate fighting the Segawa big four (actually six people including Hatsune Miku lol!) and Kotetsu at the end. In any case, while Hayate detests the student council trio when they are together, he does seem to have a soft spot for Izumi. He tutors her after school (suggested by Yukiji so she wouldn't flunk out of school) and he generally sees her as a nice girl. By definition, a dark horse is a candidate or competitor about whom little is known but who unexpectedly wins or succeeds. Meanwhile, very little is actually known about her -- or rather, there is very little controversy surrounding her. We know her father (some very rich corporate businessman), her brother (Kotetsu), and her personality. But there are zero issues with her. Over-all, aside from being a bit of a doormat and just going along with the antics of her two companions from the student council trio, she is generally a very happy and somewhat innocently oblivious girl. To put it bluntly, Izumi is a bit of a happy idiot. With that said, Izumi is also the type to show some amazing insight when it really counts. She's that type of character who nonchalantly blurts out the correct answer when the other smarter people around here are racking their brains trying to figure it out. A bit like Mayuri from Steins;Gate. 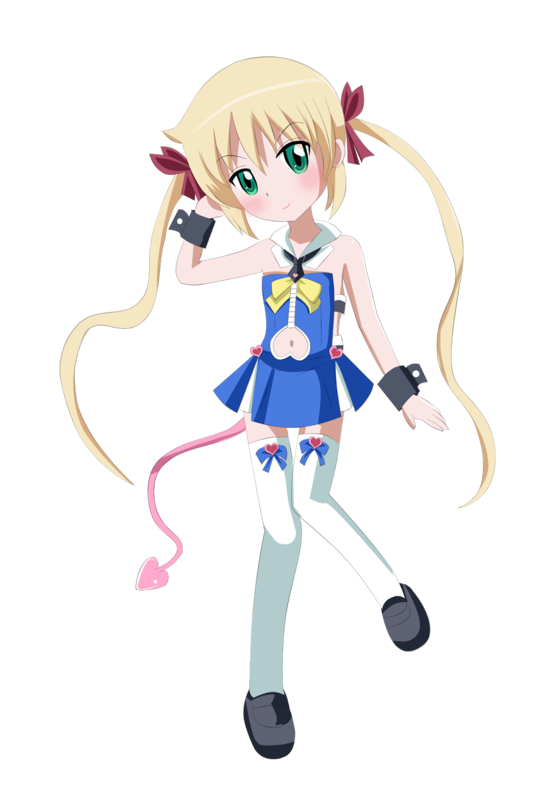 In fact, she has demonstrated this ability before when she figured out that even without his debt, Hayate would not leave Nagi -- which eventually came to pass. FORTUNATELY, Izumi's ship was definitively sunk in this chapter here, so I could rest easy after that. As for Maria, while some people see her as a dark horse, I never really gave her a chance to be honest. 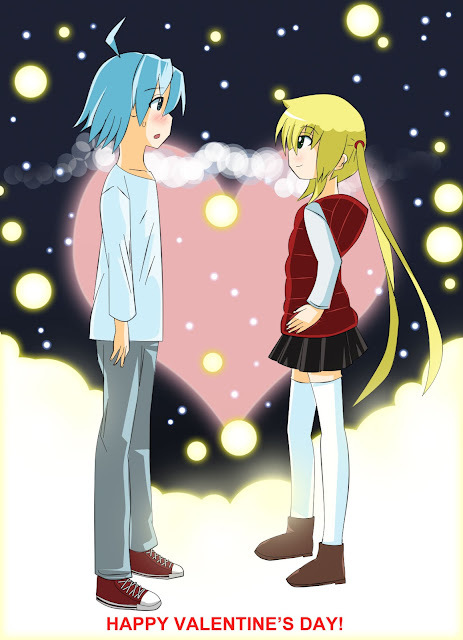 Even if Hayate had seen her romantically (which he didn't, by the way. Seeing her as attractive /= romantic), I just figured that it really wouldn't have worked out based on the plot. With Izumi however, there were no complications. Like, if chapter 541 hadn't happened, then she could very well have become Hayate's final choice by the end after Nagi sets him free -- of course, THIS DIDN'T HAPPEN and Hayate x Nagi instead became a true romantic couple -- ooooh, you want proof of this? Fortunately, I happened to pass by Hata's pixiv recently and he wrote this in the description: "The final illustration for the countdown. A really sweet couple." link. Anyway, if you're a hater, stay salty! See you next week! I was actually working on something else recently, but for now... here's a fanart that I drew online. I plan to digitize this for valentine's day. I have one week~ good luck, me! Proportions look kinda mature, so let's just say that this is the ending Nagi - 16 year-old Nagi. Nagi cosplaying as Lotte from Astarotte No Omocha. They have similar personalities, looks, and even the same voice actress, so it kinda works. Also, Lotte-chan won in her manga too~!